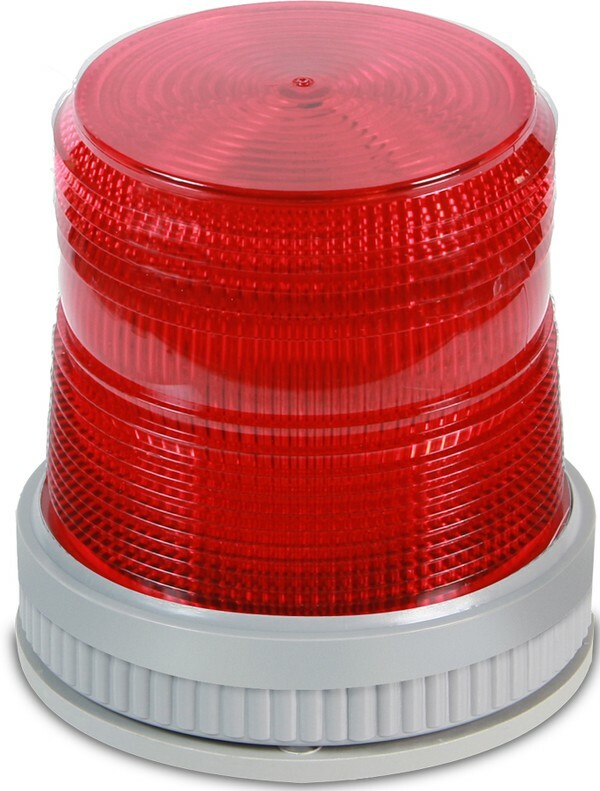 The 105XBRM Series LED visual signals are heavy duty, reliable, UL, cUL (General Utility) (misc. device/control unit accessory) beacons. 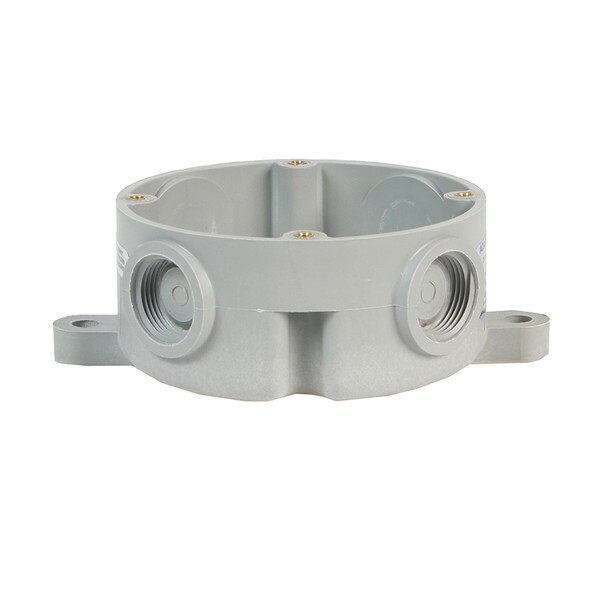 The 105XBRM Series features a UL listed Type 4X enclosure and is UL Listed for Marine Use. 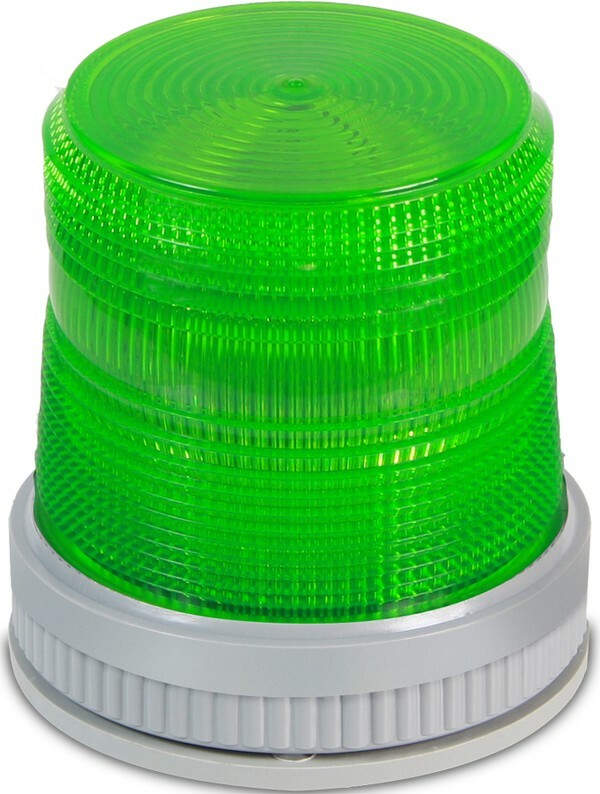 These signals are designed for use in industrial applications or in applications where a Type 4X enclosure is required. The 105XBRM LED series come in a steady-on mode, and can easily be set to a 65 fpm flashing mode. 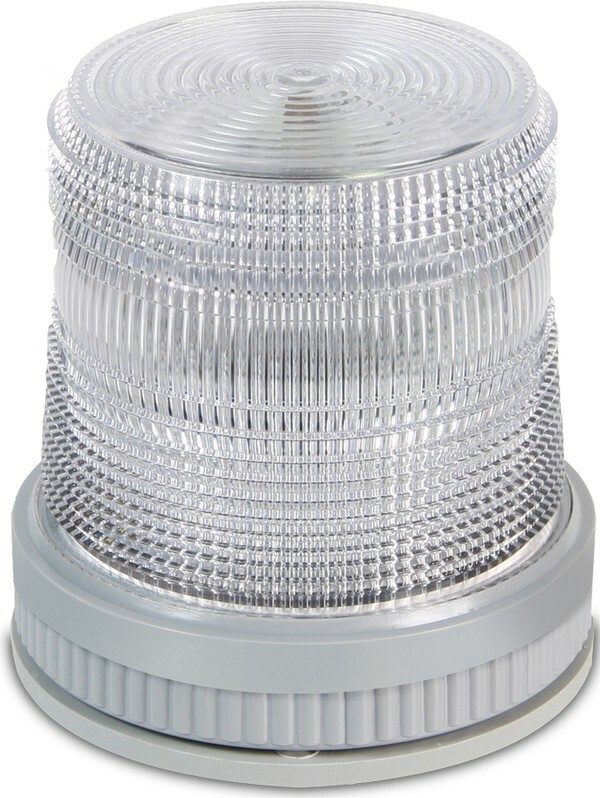 The base is manufactured from glass-reinforced thermoplastic polyester resin and the double fresnel lens is made of shatter resistant polycarbonate. 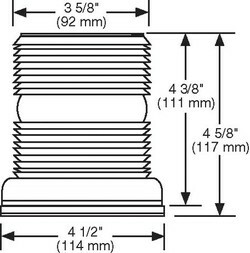 The 105XBRM Series has three different configurations for mounting that include the 105BX junction box, the 105BM mounting bracket, and the 105PM pipe mount attachment. 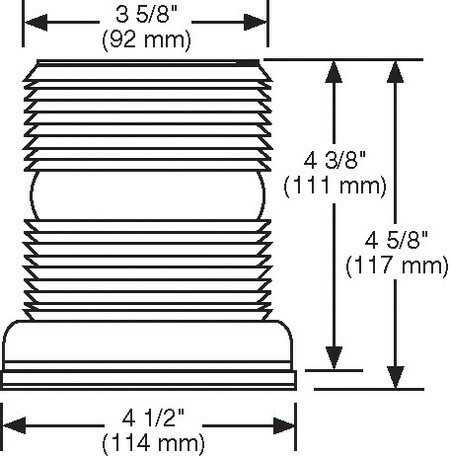 The unit can be mounted on ¾" NPT using the 105PM pipe attachment. It can also be surface mounted using the 105BX junction box, or wall mounted using the 105BX junction box with the 105BM mounting bracket. All three mounting options are non-conductive plastic fixtures and do not provide earth-ground continuity when attached to metallic wiring systems. 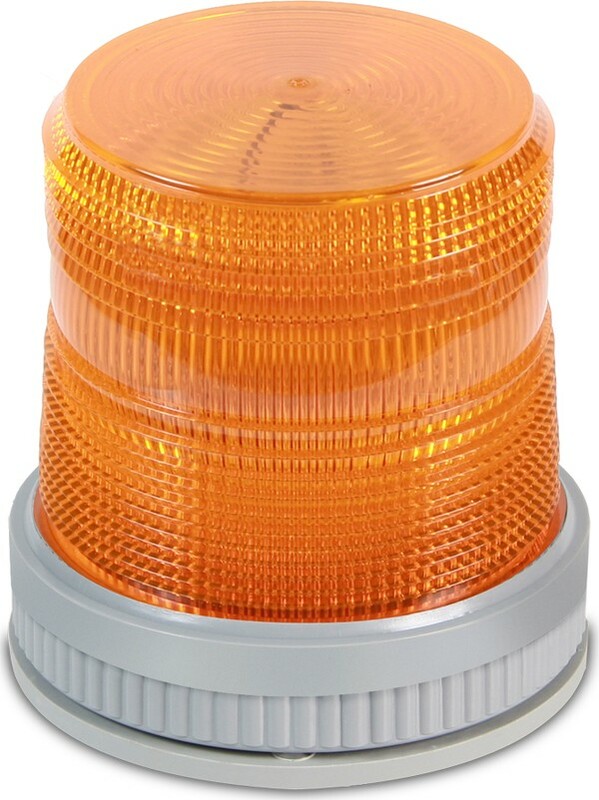 They are intended for use with the 105XBRM visual signals only when earth-grounding is not required. They can only be used with metallic wiring systems when installed at the end of the run.